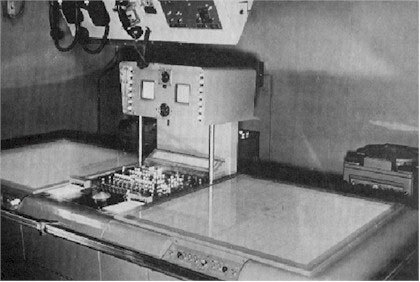 In August 1948, the Canadian Defence Research Board (DRB) called from proposals from various Canadian electronics firms in 4 ares, one of them was servo-systems for computers, including automatic following devices for radar systems. A copy of the letter was sent to Ferranti Canada, then a small distributor of Ferranti's United Kingdom electrical equipment, and the CEO of Ferranti, Vincent Ziani de Ferranti decided to attend the introductory meeting in October 1948. In this meeting however de Ferranti was disappointed to learn that while the that the budget was basically zero. 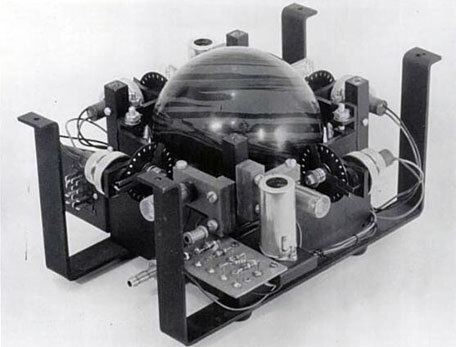 The outcome of the disappointing meeting was not zero however, because a researcher at the Navy's electrical laboratories in Ottawa, named Jim Belyea, took the initiative and approached Ferranti with the idea of DATAR, a system for acquisition, digital processing, transmission and display of naval information, dreamed by him since 1946. Ferranti accepted the proposal and the work began in 1949. By 1950 a part of the system was ready (a radio system for transmission digitized radar data over long distances, called PCM). The prototype machine was ready in 1953. During the tests DATAR performed well, and the Navy was apparently extremely pleased. The only serious concern was the failure rate of the vacuum tubes, which meant that the machine was non-operational for a considerable amount of time. Ferranti was extremely interested in adapting the DATAR system to a transistor-based design, which they believed would solve this issue. The prototype used about 30000 vacuum tubes and stored data for up to 500 objects on a magnetic drum. Data was sent to the system by operators on the ships, who used the first in the world trackball (see the lower image, built using a standard Canadian five-pin bowling ball, and a trigger to send position info over the links to the DATAR, which was located on one ship in the convoy. DATAR then processed the locations, translated everything into the various ship's "local view", and sent the data back to them over the same links. Here it was displayed on something like graphical user interface—another console, originally adapted from a radar unit (see the upper image). The device, invented by the Ferranti engineering team of Kenyon Taylor (1908-1986), a British electrical engineer and inventor, some time in early 1952, used a bowling ball from the Canadian version of game of five-pin bowling (diameter around 16 cm). The work on DATAR did not go to waste. Ferranti Canada used the basic DATAR design on a number of projects, transistorizing it in the process. The system eventually led to ReserVec and the Ferranti-Packard 6000 mainframe.